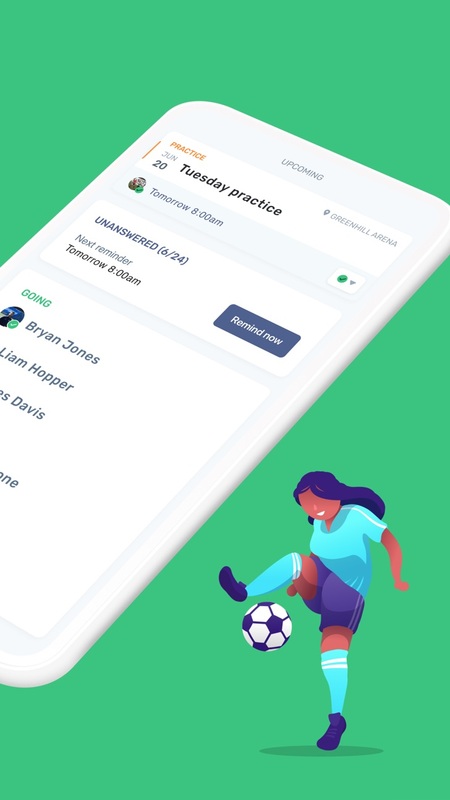 Heja - The only app you need to easily handle your sports team's communication between coaches, managers, parents and players. Forget the clutter of email, social media, documents, texts and phone calls... Heja makes it easier to send, receive and confirm everything about the team all in one place! "So happy to have found this app! Easy to use, great design, no ads, no nonsense and the parents really like it too!" "This app is awesome. Glad we set it up"
"Just downloaded the app and it's amazing. It's really going to organize our team and show who the uninterested people are." • SCHEDULING – Everything about games and practices in one place, with automatic reminders to parents and players. • AVAILABILITY & RSVP – Keep updated on who’s attending games and practices, and when and why someone can’t. Heja even reminds everyone to reply. • ROSTER – Contact details for everyone on the team. • MESSAGING – Send messages to individual team members, groups or the entire team. 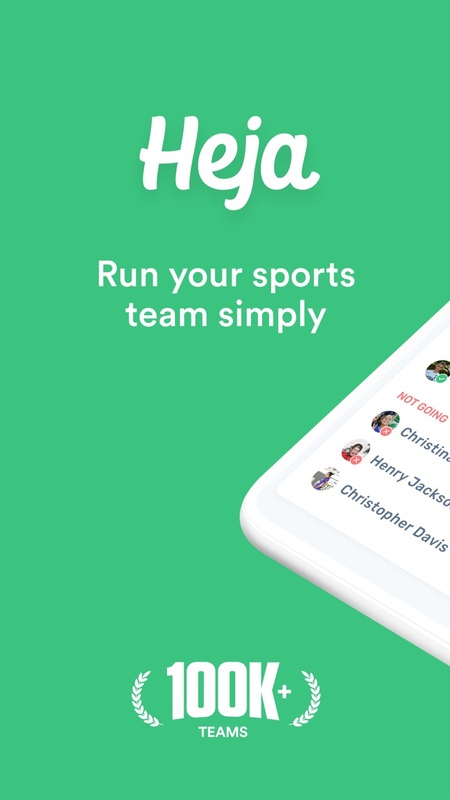 • PARENTS – No other app makes it as easy as Heja to be a parent in a sports team. Every feature is made to make sure that information reaches the right person. • PHOTO SHARING – A safe and easy way to share photos with everyone that didn’t make it to the game. • MULTIPLE TEAMS – Heja makes it easy for parents with kids on multiple teams, with all team info in one place.